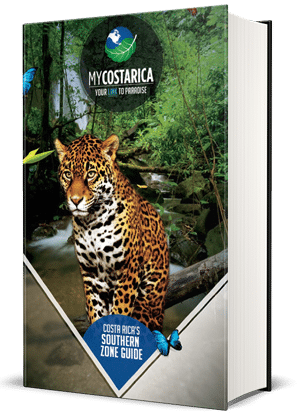 "Explore the remotest part of Costa Rica with your free Travel Guide"
What’s inside the Southern Costa Rica Travel Guide? 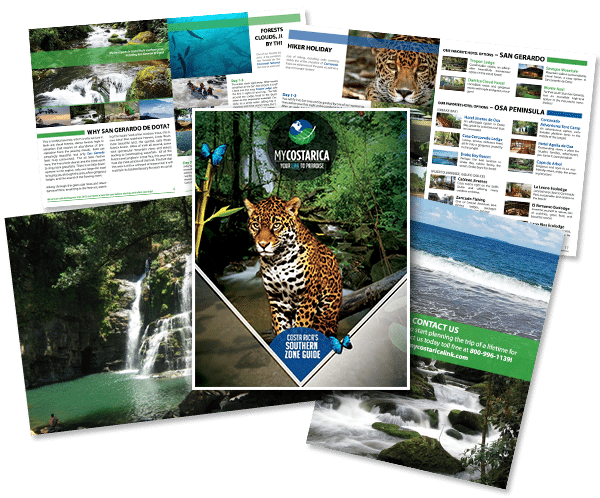 Inside the southern guide you will find travel tips on vacationing in Costa Rica and who should travel within the southern zone. Also, find the best attractions and what to do when you visit these popular areas. At my Costa Rica, we have compiled great hotels and tours for the best possible vacation to southern Costa Rica. The southern zone is full of wonder and thrilling adventure. When you come here, you will be amazed at all flora and fauna within the national parks and surrounding area. Feel truly away from it all and experience a thrilling adventure full of the most exciting tours. Or you can also choose to relax and spend your time with your family. There are many cool things to do in the Southern Zone. For example, you could take a tour of Corcovado National Park or maybe you would like to take a whale watching and dolphin tour in the Golfo Dulce. Either way, we a My Costa Rica can make it happen.